Bardstown, KY (August 31, 2017) – The Bardstown Bourbon Company (BBCo), the largest new bourbon distillery in America, announced today the hiring of John Hargrove, the former Master Distiller and Distillery Manager, at Sazerac and Barton Brands 1792 in Bardstown, Kentucky. 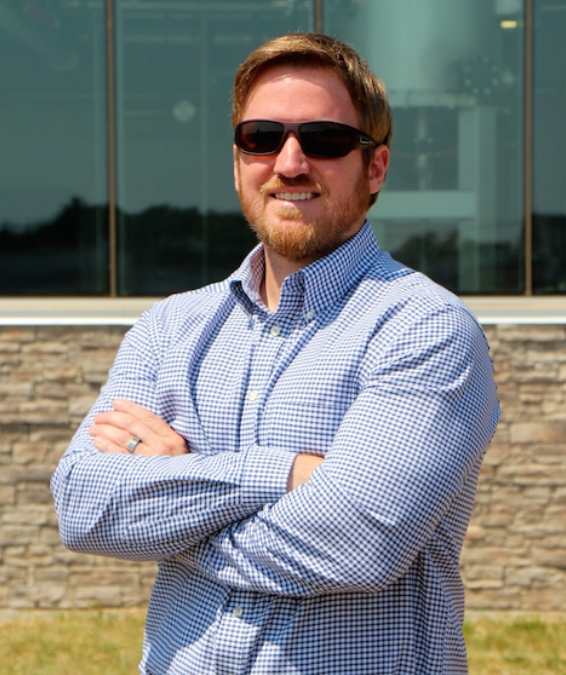 Mr. Hargrove will be responsible for the day-to-day management of the distillery, interfacing with BBCo’s Collaborative Distilling Partners, and working closely with Steve Nally, BBCo’s Master Distiller, in advancing BBCo’s distillery innovation program and the development of BBCo’s brands. Mr. Hargrove comes to BBCo with and extensive background in contract manufacturing, quality control, customer service, and whiskey distilling. John started with Sazerac as the Quality/Continuous Improvement Manager at the Barton 1792 Distillery and quickly rose through the ranks to Master Distiller. Prior to joining Sazerac, John obtained a wealth of experience working with Quaker Oats/PepsiCo in various roles where he had the opportunity to focus on innovation, process improvement, and project management. John will lead a distilling team with more than 30 production employees. The team has an average of more than 15 years of whiskey making experience, working with world-class distilleries such as, including Jim Beam, Maker’s Mark, Barton Brands, and Heaven Hill. John joins the company at a time of fast-paced growth. Due to the success of the BBCo Collaborative Distilling Program and massive demand for custom, authentic, Kentucky whiskey products, the company recently expanded the distillery to its current three million proof gallon capacity. Mr. Hargrove replaces Tom Crume, who retires from BBCo as the Distillery Manager on September 1, 2017. John will start at BBCo on September 15, 2017. The Bardstown Bourbon Company is a celebration of the art of making whiskey. No secrets, mythical stories, or fabricated legends, The Bardstown Bourbon Company celebrates the craft of making great whiskey and the Bardstown community that brings bourbon to the world. BBCo is also developing a destination experience with a unique Napa Valley style estate featuring a state-of-the-art whiskey distillery, transparent educational experience, integrated visitors center, event space, vintage spirits and whiskey library, bar, and restaurant. The company also plans to develop a boutique hotel on the property. The Company anticipates announcing an opening date for its visitors’ center in the near future. The company was founded in 2014 by Peter Loftin, David Mandell, Daniel Linde, and Garnett Black. Bardstown, KY (August 2, 2017) – The Bardstown Bourbon Company (BBCo), the largest new bourbon distillery in America, announced today the hiring of Pedro Gonzalez, the former Executive Director of Restaurant Operations for the Greenbrier Resort in White Sulphur Springs, West Virginia. Mr. Gonzalez will lead the development and operations of BBCo’s restaurant, whiskey and vintage spirits bar, and hospitality experience. Mr. Gonzalez comes to BBCo with more than 30 years of restaurant development and operations experience. 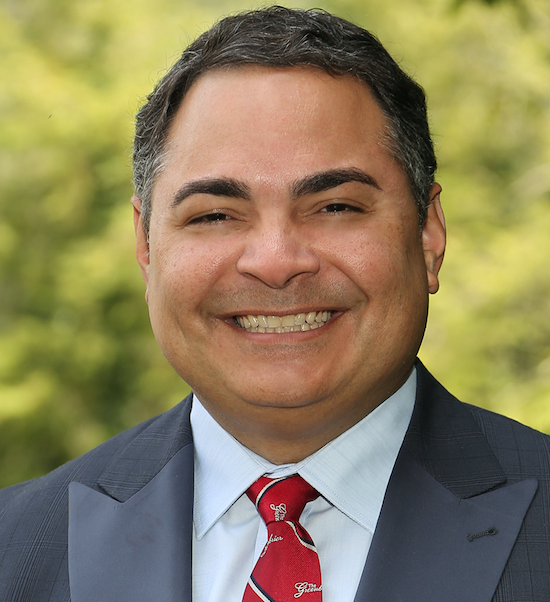 At the Greenbrier Resort, Mr. Gonzalez served as Executive Director of Restaurants, Director of Food & Beverage, and Director of Fine Dining, and was responsible for all operations in more than 16 food and beverage outlets. Prior to the Greenbrier, Mr. Gonzalez opened and managed restaurants for Ruth’s Chris Steakhouse, Sullivan’s Steakhouse, Maggiano’s of Little Italy, and The Cheesecake Factory. Napa Valley-style bourbon and food experience in the center of the Kentucky Bourbon Trail. BBCo is planning to open a full-scale restaurant that incorporates food grown on its 100 acres of active farmland, local flavors, and bourbon culture. Unlike other distilleries, BBCo will also celebrate, showcase, and sell by the drink an extensive whiskey collection, including a vintage spirits library. With the recent changes in Kentucky law, BBCo will operate a full-bar that will be open to the public as well as available for corporate events and parties. In addition, within the visitors’ center, the company will offer a transparent educational experience that brings the customer as close to the bourbon making process as possible and incorporates elements from its culinary program. The Company anticipates announcing an opening date for its visitors’ center in the near future. Due to the success of the BBCo Collaborative Distilling Program and massive demand for custom, authentic, Kentucky whiskey products, the company recently expanded the distillery to its current three million proof gallon capacity. The footprint can ultimately be expanded to more than six million proof gallons within the current design, by adding additional equipment. BBCo is also in the process of developing its own unique line of bourbon, whiskey and rye. The company anticipates having brands ready for the market starting this year.